The 15th edition of the Pure Talents Contest at imm cologne is sure to get the design community talking. The event attracted 671 designers from 53 countries and over 800 products from up-and-coming designers were on display. This year’s contest, which was presented in a special exhibition at imm cologne, showcased everything from practical projects to objects that seemed to be alive, surfaces that shimmered like a beetle, and fabrics draped in waves as well as carpets made of thick skeins of wool woven into a honeycomb structure. Attendees were able to see smart concepts, offbeat ideas, textile works, ultra-simple furniture and more. The competition is aimed at emerging talent who are renowned for pushing the boundaries and coming up with new, interesting ideas. Applicants presented their ideas in the form of prototypes that were both inspiring and exciting. “We have seen how projects exhibited in the Pure Talents Contest have subsequently been produced by well- known brand manufacturers. That has delighted me, because it shows that we have done a good job. And that’s what matters,” said designer Harry Paul van Lerssel. The knitted carped, “Stained Carpet”, by Israeli designer Irina Mirer, literally attracts stains. 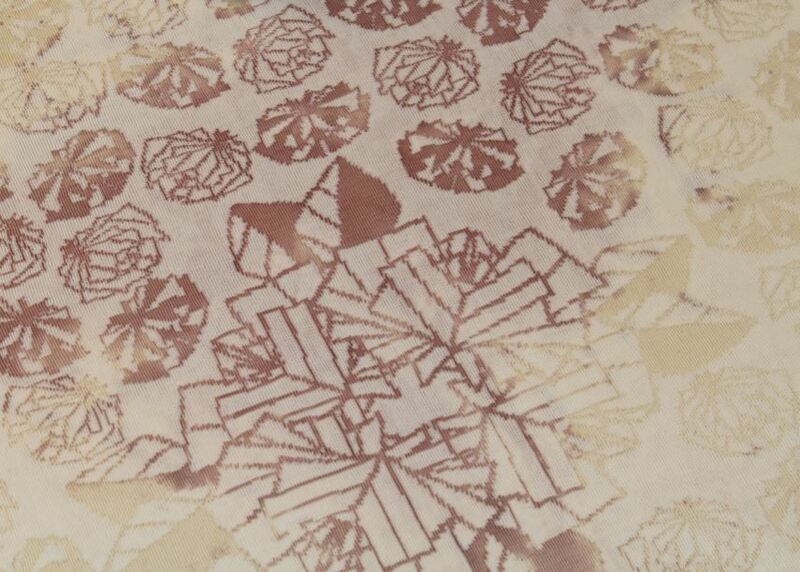 Thanks to a special technology implemented during the production, an impacting liquid is applied to certain parts of the fabric so that instead of an amorphous stain, a pre-defined motif or pattern is accentuated – with a unique colouring. 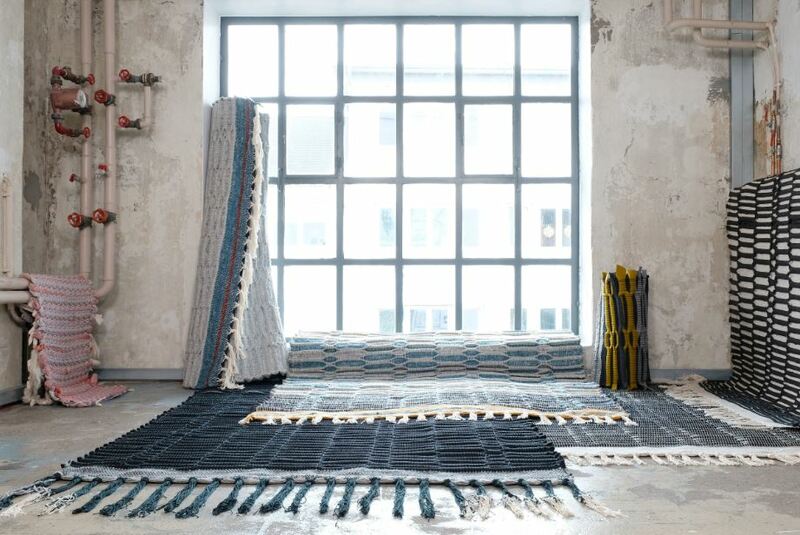 Hamburg textile designer Sophia Schulz created her own Honeycomb Carpets. Sophia took thick rolls of waste wool from felt making and used them as weft material in woven carpets. The unique patterns remind you of honeycomb structures. Italian designer Umberto Garcia made the lamp Varjo (which is Finnish for ‘Shadow’). 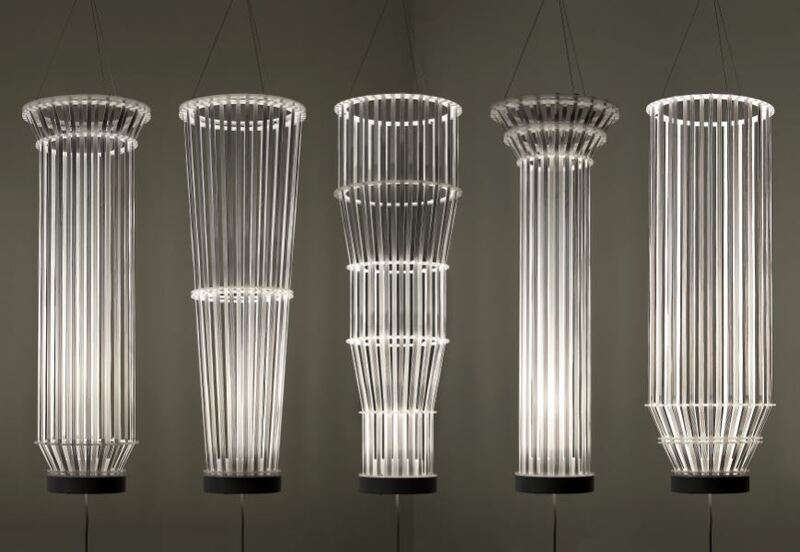 The lamp is a system that is spanned between the ceiling and the floor comprising six differently sized non-fixed rings, which elastic textile straps run through. By moving the rings, the shape and the light transmission of the shade that is formed by the straps changes. Israeli designer Yohay Alush created unique outdoor furniture aimed at teenagers. The furniture pieces are a hybrid of concrete and metal that take the form of mythical wild creatures. 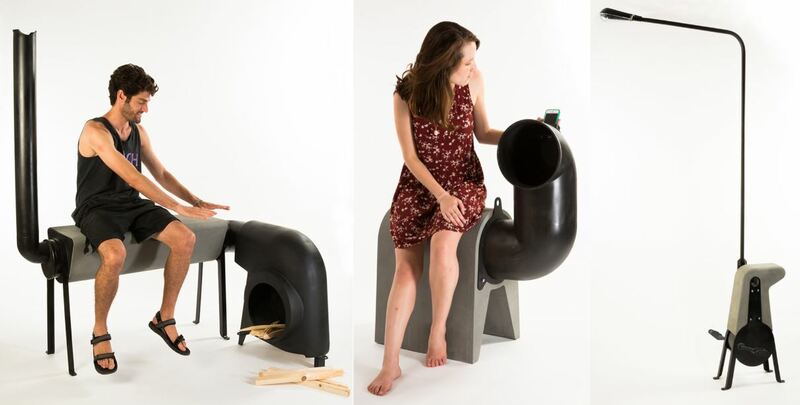 These pieces amplify music played on a mobile phone and provide peda-powered light and a heat-emitting bench. Music, light and warmth – that’s all it takes to generate social energy. 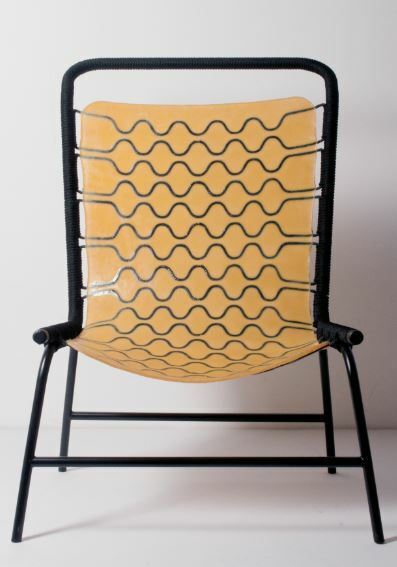 Japanese designer Hiroyuki Morita experimented with nylon ropes cast in latex for his chair (Cellastic) to find a new approach in the competitive seating furniture section. Here the elasticity and traction of the materials as well as the structure of the nylon ropes play an essential role, while the pattern based on the so-called cell sequence reminds one of the molecular structure of organic cells. Full thanks and acknowledgement are given to www.v2com-newswire.com and www.imm-cologne.com for the information contained in this article.